Beautiful woman sewing bust covered with black velvet. This refined and elegant bust will bring chic to your windows. They are busts that easily adapt to the various displays and collections of the moment. 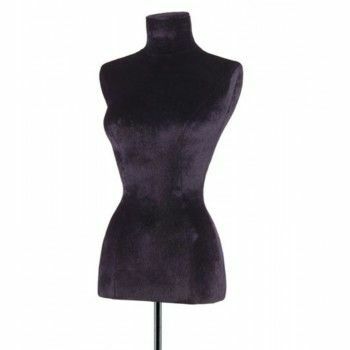 The velvet bust will give a creative spirit and a special ambiance to your collections. 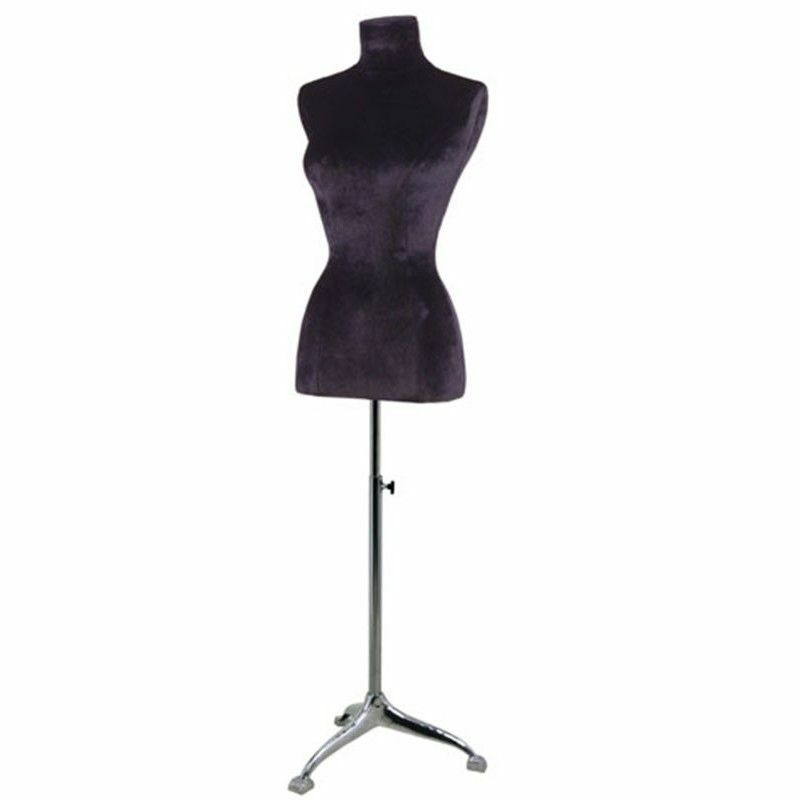 For the sake of personalization, Mannequins Online offers you these tailored busts women in order to change your windows regularly. Beautiful woman sewing bust on adjustable aluminum tripod base covered in black velvet. The dimensions of this beautiful bust is 68 cm in height, size 61 cm, chest circumference of 89 cm and hips 90cm.